A third of Russians view Valentina Matvienko’s tenure as the governor of St. Petersburg positively, and a slightly lower percentage believes that she will be a better speaker of the upper house than Sergey Mironov, who was recalled in May. ­In mid-July, the All-Russia Public Opinion Study Center (VTSIOM) conducted a poll in 138 localities across Russia. Of those1600 surveyed, 34% gave a positive assessment of Matvienko’s performance as the governor of Russia’s “northern capital”. However, a significant 41% of respondents know nothing about her work, while 18% do not support her at all. When asked whether the St. Petersburg governor will make a better Federation Council Speaker than Sergey Mironov, 26% responded “most probably yes”. 30% believe she will make no difference, “no better and no worse”. 14% are convinced that she will perform worse, while another 30% were unable to articulate any opinion on the matter. Among supporters of Valentina Matvienko, there is a high percentage of United Russia and Fair Russia members, 44% and 39% respectively. Communists (28%) and non-parliamentary party members (32%) are negative about her current work and prospects of becoming the upper house speaker. One-third of respondents approve of her nomination to the new position. At the same time, a significant portion of respondents (38%) are indifferent to the leadership of the Federation Council. 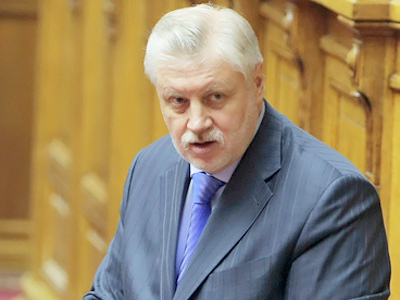 Former speaker Sergey Mironov was recalled as a city representative in the upper house by the St. Petersburg Legislative Assembly, subsequently losing the post of speaker in May. 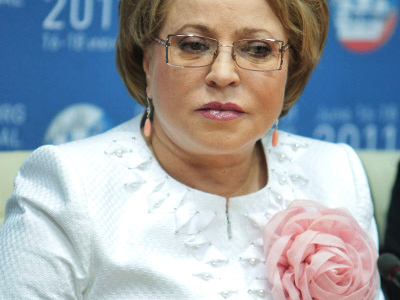 The decision was taken on the initiative of United Russia, which had earlier nominated Matvienko for governor. The initiative to nominate Valentina Matvienko as the speaker of the Federation Council has been supported by President Dmitry Medvedev. Public opinion, especially in St. Petersburg, is divided over Matvienko, especially in regards to some of her unpopular and controversial decisions concerning, for instance, the architectural policy of the city. Thus, another recent poll, conducted by the recruiting and analytical SuperJob center among residents of St. Petersburg, revealed that 57% do not approve of her as governor. 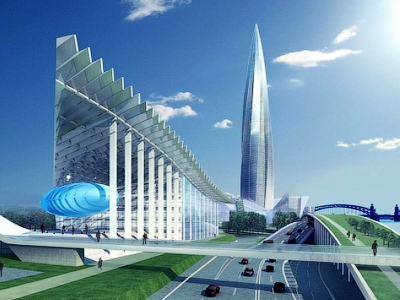 However, experts have noted her efforts to develop the city economically and attract investment.